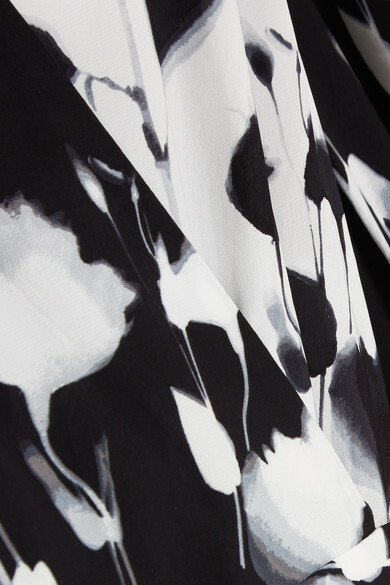 Equipment's 'Neema' wrap-effect dress is made from weightless georgette printed with inverted abstract florals which have been placed to resemble two different fabrics spliced together. 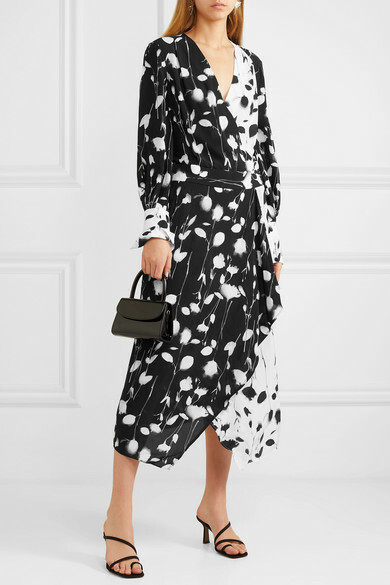 It's cut for a slightly loose fit with ties at the waist to create definition and falls to a softly draped handkerchief hem. Layer the plunging V-neckline over a turtleneck or with stacked necklaces. Shown here with: BY FAR Tote, Neous Mules, Closer By Wwake Earrings.